ADIVAN CarDs & Shapes revolutionise with the pre-centering by means of knobs and rings. By this, any shape can be put into a CD drive. 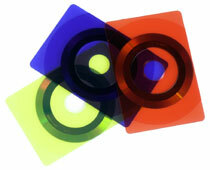 Meanwhile we offer CD-CarDs and special shapes as CDs, CD- and DVD-Recordables and DVDs (up to 400 MB capacity). We are pleased, not only that we have initiated a worldwide boom with our invention, but also created a new product standard. All products in various colours, with break away part (entrance ticket), barcodes and also with an integrated chip. What kind of CarDs & Shapes does ADIVAN offer? Specifications for CarD label can be found at CarD Downloads.